Product prices and availability are accurate as of 2019-04-22 00:18:22 EDT and are subject to change. Any price and availability information displayed on http://www.amazon.com/ at the time of purchase will apply to the purchase of this product. This package includes: ONE premium quality 9" x 9" blue and white octagon polyethylene plastic sign mounted to a 36" long aluminum stake and includes SIX 3" x 3" CCTV security stickers. Studies show that 90% of burglars will not even attempt to break into any type of residence or building if they are in some way convinced that the structure is being protected and monitored by an electronic security alarm system or video surveillance system. This is a REAL security sign and REAL security stickers provided by a real security monitoring company. "Those fake security signs and stickers don't fool real burglars!" The sign, stickers and aluminum stake are all weather-resistant and all are made for outdoor use and will last for many years to come. To install the sign, you simply push the 36" long stake into the ground down to the height of your choosing. To install the stickers, you simply "crack back of the sticker" by bending it almost in half horizontally and then you can easily peel the paper off of the back of the sticker and stick it to almost any dry, smooth surface. Just remember...these products are from a "REAL" security monitoring company, and most others are not. Burglars know the difference and are never fooled by fake signs and stickers! This is a premium quality CCTV security sign and 6 "REAL" security stickers from a real security company. Those fake security signs and stickers do not fool "REAL" burglars! Package includes: ONE premium quality 9" x 9" blue and white octagon plastic sign mounted to a 36" long aluminum stake and includes SIX 3" x 3" CCTV security stickers. The sign is a thick, durable plastic (polyethylene) that is made for outdoor use and will not crack or peel. The included aluminum stake is 36" long and will never rust. 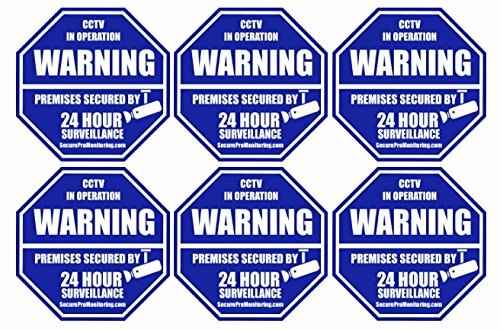 The 6 CCTV security stickers are 3" x 3", made of 3M vinyl and have the adhesive on the back. 3 year replacement warranty. 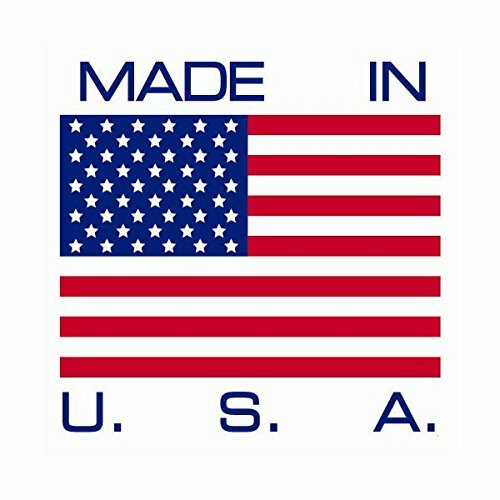 These products are all proudly made in the USA!